Fake emails of UNC members have been referred to the party’s lawyers to be sent to the TTPS cybercrime unit. UNC deputy political leader David Lee yesterday said the action was taken after two separate postings on social media surfaced which stated Senator Saddam Hosein and other party members had held a “secret meeting” at Felicity, Chaguanas on Friday night. 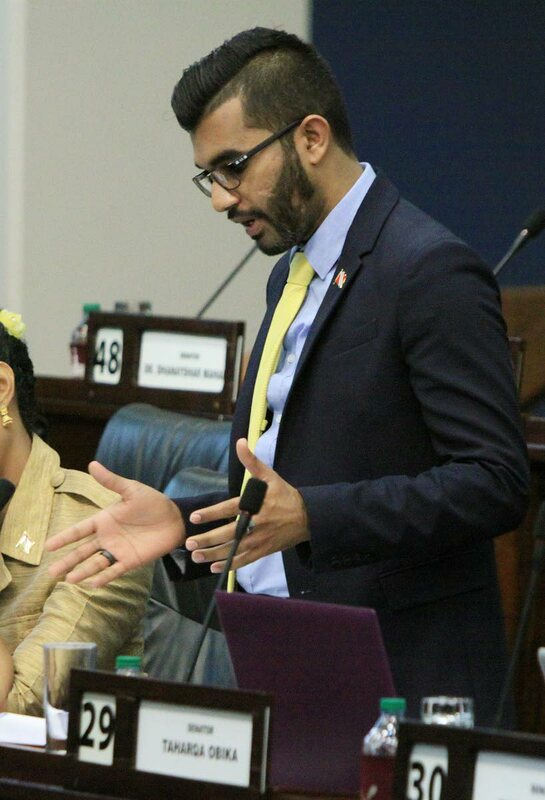 The meeting, according to a group calling itself the UNC Advizors, was held to garner support for Hosein’s candidacy for the 2020 general election. The group also referred to a “leaked memo” reportedly from the party’s hierarchy which stated that several other Opposition MPs had also been earmarked for replacement. The party has since described the “leaked memo” as fake. Lee said he was not aware of any meeting at Felicity and pointed out that the Advizors group is a fake profile. Meanwhile, Hosein denied any meeting had taken place at Felicity on Friday night. “There is absolutely no truth. There is a bunch of mischief makers currently trying to create some divide in the party. I was personally not even aware of that meeting until I saw a post on Facebook,” he said yesterday. “I did not attend any meeting of any sort, I have never been tipped to be any MP or candidate for any area, the political leader at the caucus on Monday indicated that the party would begin screening for local government candidates. He believed the emails were meant to create confusion in the Opposition. “Recently, you would have seen some bogus list being circulated, and now the political campaign season has started and I believe the mischief has already begun. Reply to "Fake UNC profiles for cybercrime unit"